Satvik food is de rigueur this time of the year in most Western and Northern Indian homes, say chefs and food historians Arundhuti Dasgupta and Shally Seth Mohile. 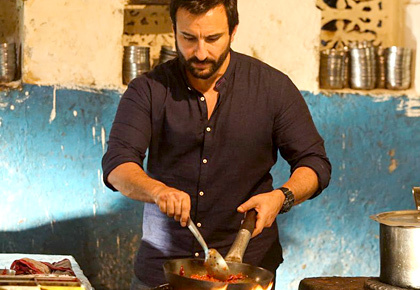 IMAGE: Saif Ali Khan plays a chef in Chef. A proverb commonly recalled in many Indian households is that we live in a land where there are 13 festivals in 12 months. Each festival comes with a set of rituals and gods that are to be propitiated, of course, but it also unpacks a smorgasbord of feasts fit for the gods. 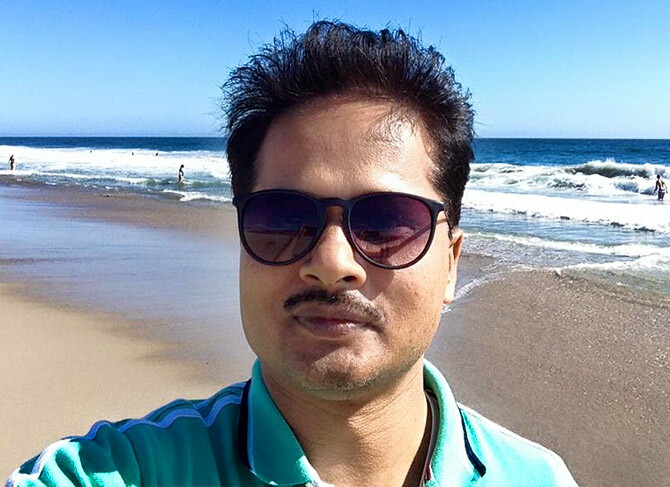 Rajesh Ojha, co-founder of The Melting Pot Food Company, says his childhood memories are all about food. And with the onset of the festive season, he says, the only thing running through his mind was, "When will there be makhana ki kheer?" 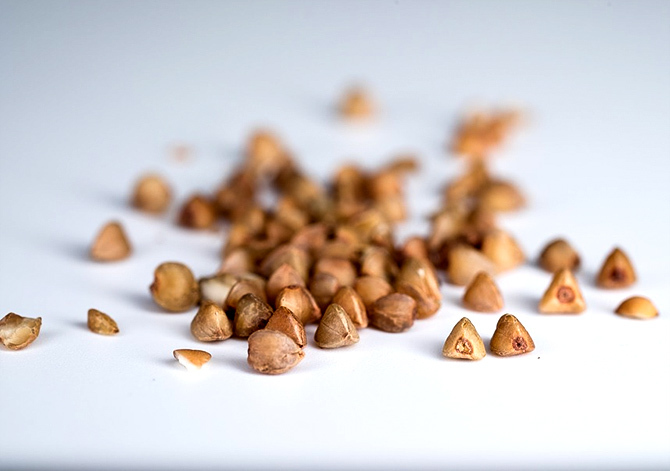 Makhana or fox nuts, considered a new 'super food' (nutritious and low-fat) have been a part of the Indian menu for decades. Along with buckwheat or kuttu ka atta, it is also on the list of permissible or Satvik foods. Satvik food is de rigueur this time of the year in most Western and Northern Indian homes. 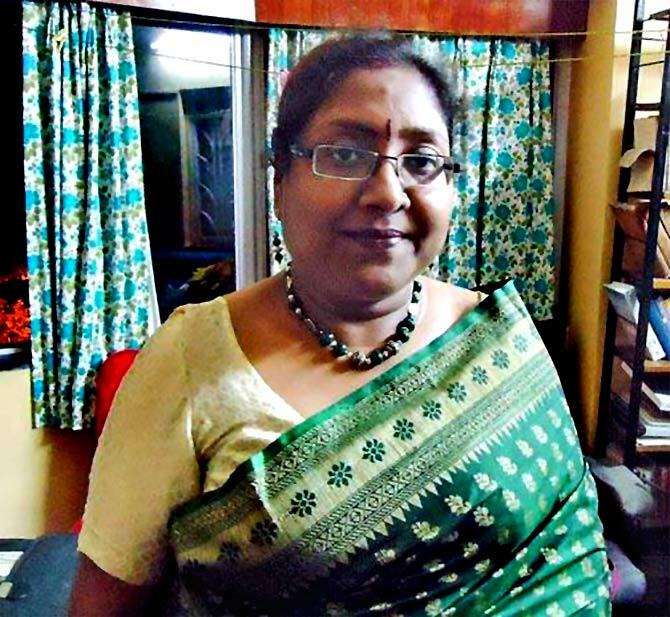 In the East too, where Durga Puja means an assortment of meats and sweets, Pritha Sen, food historian and consultant with the Mustard chain of restaurants, says Satvik traditions play a role. The bhog (khichdi) offered to the goddess and her followers employs this tradition. Indian culinary habits reflect a deep obsession with pure and impure foods, say chefs and food historians. Prasad, the food offered to the gods and eaten by their devotees, is believed to be the purest of all. Achaya also says that food in the Aryan belief system was not simply a means of bodily sustenance, but, according to the Taittiriya Upanishad, part of a cosmic moral cycle. Restaurateur Abhijit Saha says that festival food is part of the longstanding Indian tradition of social dining. At his restaurant Rock Salt in Bengaluru, Saha says people like to eat out on festive occasions and he tries to set the menu around regional specials rather than festival specials. So around this time of the year, they have a special selection of Bengali cuisine, he adds. 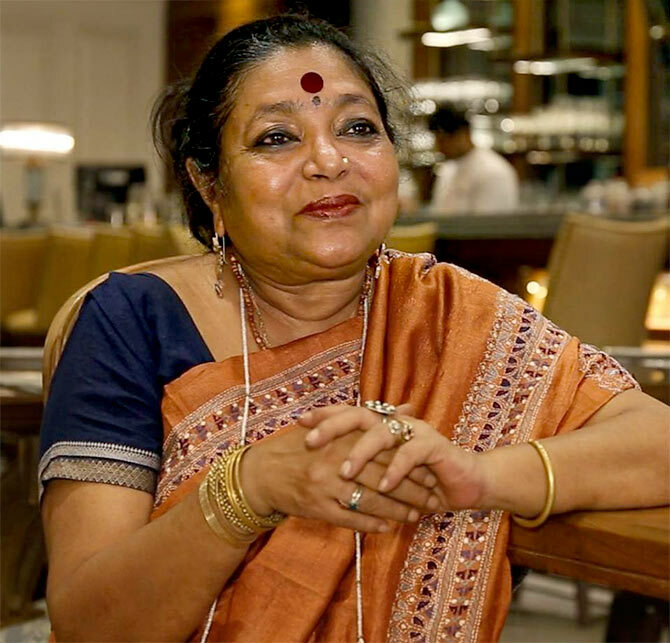 Nayana Afroz, a Bangladesh-based culinary expert and food consultant, says that the elaborate meals that people prepare and share during festivals reflects the concept of poshakhi khana among South Asian communities. Big festival days, be it Eid or the New Year or post-harvest celebrations, are marked by community dining and special food being cooked in every home. In her country, Eid is usually a time for meat while fish has to be on the menu for occasions such as the Bengali New Year. 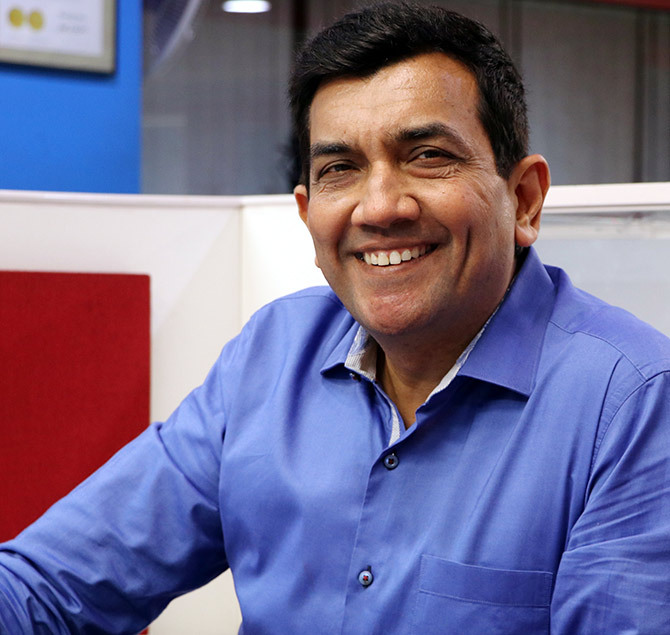 For chef Sanjeev Kapoor, among the early pioneers of television cookery shows in India, a true Indian palate has a passion for mithai. So, be it a modak during Ganesh Chaturthi or kaju katlis during Diwali, making Indian mithai is an art that requires years of practice, precision and skill. "I have some sweet memories of my mother making an array of sweets during Diwali. 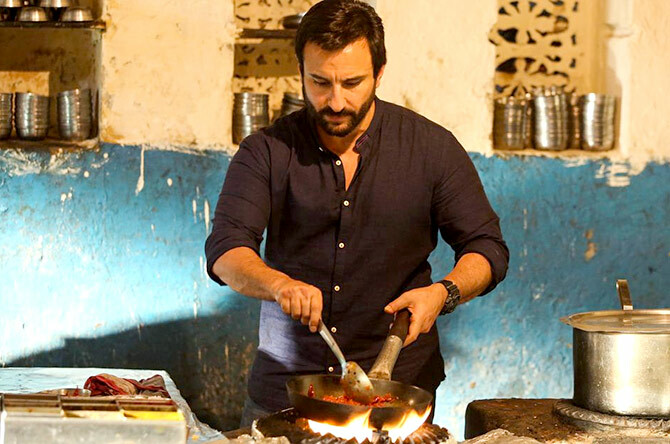 With my siblings and me gorging on them on pretext of helping out in the kitchen," Kapoor says. There are three traditions of Durga Puja in Bengal. One is the Vaishnav tradition that was deeply influenced by Sri Chaitanya Prabhu. Here, the food offering is vegetarian, cooked without onion and garlic. The bhog served in the sarvajanik pujas is part of that tradition. Durga Puja is also followed in the Shakto and Tantric traditions where meat and fish are an integral part of the cuisine. Note: Sen is not a big fan of measurements, so follow your instinct with this recipe. Also, the quantities mentioned are for a community feast. Take 20 kg rice and 20 kg roasted yellow moong dal, soak and then cook together with haldi and whole green cardamom, cloves, cinnamon, slices of ginger and salt. You may add some green peas and potatoes towards the end. In a separate karhai, heat ghee and temper with whole jeera and bay leaf. Add jeera powder, whole dry chillies, haldi and chilli powders and ginger paste. Fry this masala well and add to the boiled rice and dal (with the green peas and potatoes, if you so choose). Mix well and let all spices blend well. A dash of sugar is optional. Take the khichuri off the fire with Bengali garam masala powder and some grated coconut fried brown in good old Jharna ghee! Keep covered for the flavours to infuse. I am from Bangladesh and my country eats frugally on all days except on occasions such as Eid or Poyla Baishakh, which is a festival that both Bengals celebrate. The traditional fare during Poyla Baisakh, which marks the Bengali New Year and is a harvest festival, used to be panta bhaat (fermented rice) and Hilsa fry, until a few years ago when the price of Hilsa shot through the roof. Hilsa could cost as much as Rs 4,000 a kg, unaffordable for the poor folk who also want to celebrate with a special meal. 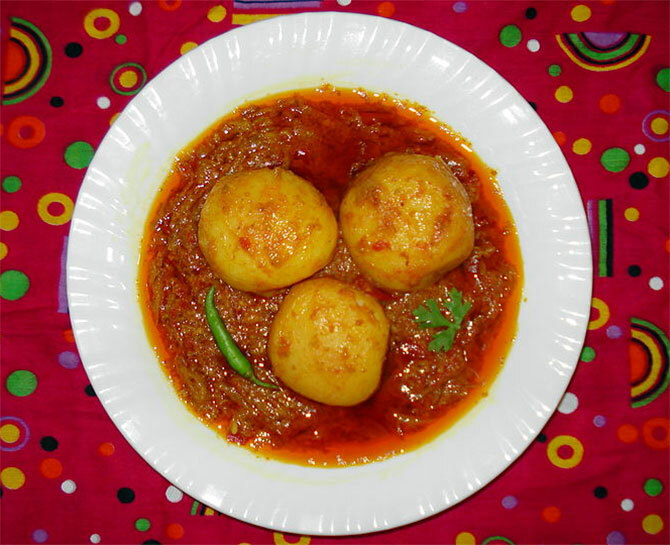 The prime minister then suggested we should change because panta is a regular dish, and there is nothing special about it. Since then the traditional meal is Bhuni Khichuri, fish (rahu) fry and Beguni (brinjal fritters). Soak rice for half an hour and drain. Dry roast the dal to dark golden and soak in warm water for an hour. Heat oil and add the bay leaves and whole garam masalas. When they crackle, add the sliced onions and fry to golden. Add all the powdered spices, ginger-garlic pastes and salt and mix well. Fry till the rice is well coated with the oil and masalas and cracks easily. Now add 5 cups of warm water and whole green chillies. Cook on high flame for five minutes. When the water starts to dry up, cover and lower the flame. When all the water has evaporated and the grains are separate, add 1 tbsp ghee and remove from the flame. Imarti is one of my favourite mithais. While making it isn't exactly child's play, if you follow the recipe step by step, the final dish will be a sweet reward for your efforts. 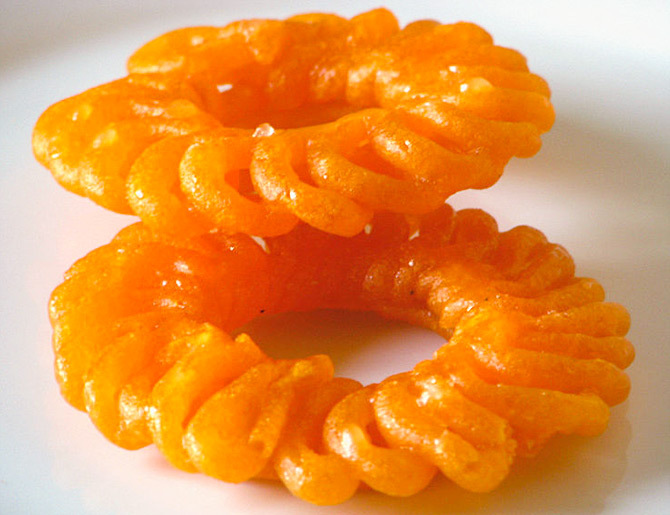 Known as jangri in the South, this popular variant of jalebi has thicker, juicier coils in a distinctive design. Soak the split black gram for two to three hours. Drain and grind with the cornflour, food colour and one-fourth cup plus one tablespoon of water to a fine batter. The batter should have the consistency of cake batter. In a non-stick pan, cook the sugar with one cup of water, stirring till the sugar dissolves. Cook till the mixture attains a one-string consistency. Remove from heat and keep the syrup warm. Heat ghee in a shallow non-stick pan. Pour the batter into a squeeze bottle. Pipe out the batter into the hot ghee in two concentric circles in a clockwise direction, followed by scallops in an anticlockwise direction. Deep-fry till golden on both sides. Remove with a slotted spoon and soak in the warm sugar syrup for 15 minutes. "The criticality of keeping the tradition alive through traditional Indian cuisines, which most of us have grown up eating, cannot be overstated," says Chef Atanu Debnath, who, along with chef Maqbool of Taj Varanasi, has rustled up a special menu that is part of the Saatvik Bhojan festival. The Sattvik diet is based on foods in Ayurveda and yoga literature that contains sattva quality. Peel and scoop out the flesh from the potatoes. Fry the hollow shells in pre-heated oil. Transfer to an absorbent paper and set aside. Boil the scooped-out potato flesh in salted water. In a pan, heat ghee and saute chopped green chilli. Add cashew nuts and raisins and saute till brown. Add grated paneer, grated boiled potato and chopped coriander. Adjust seasoning and set aside. In a heavy bottomed pan, heat ghee. Add the panch-phoran and pureed tomato and cook off the raw flavours. Add tamarind water and jaggery as per taste. Adjust seasoning. Add dried fenugreek leaves and chopped coriander leaves. Fill the fried potato shell with the prepared mixture. Add the stuffed potato to the gravy and simmer on slow flame.